Not all of us were blessed with parents cool enough to have a good taste in music and not all teenagers are mature enough to have a sense of humor comfortable enough to delve into self-deprecation. 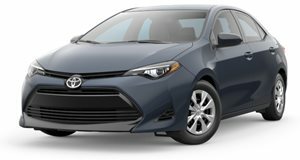 And as companies use ever more clever ways to manipulate our human weaknesses, Toyota has decided to exploit those two detriments to high school popularity to help teens become better drivers, according to Automotive News. Using an app called Safe and Sound Toyota and its UK-based ad agency is putting the power to use teenager’s healthy embarrassment of their parents to good use by giving the guardians the power. Essentially, the system hijacks the sound system of an equipped Toyota and, if unsafe driving is detected, will play embarrassing music chosen by the parents over the system in attempts to get the guilty youth to slow down and practice good driving behavior. The system also blocks phone calls and social media sites on the teen’s smartphone once the car is traveling over 9 mph and connects to the parent's Spotify playlist if it detects that the speed limit is breeched or that a phone is being used behind the wheel. Of course, this automatically assumes that the parents have acquired a taste in music that’s poor enough to embarrass a teenager. The advertisement for the service depicts a teenager named Callum, who borrows his mom and dad's Toyota to pick up a girl for a date. In attempts to impress her, he pushes past the speed limit, at which point his parents' playlist comes on and kills the mood entirely. His attempts to reach for the phone to change the song are only rewarded with a more embarrassing song, which does nothing to take Callum’s date away from her state of being unimpressed. His only solution is to slow down and stop resisting the rule of his parents. Talk about a smart way to use the fact teenagers are more afraid of social rejection than physical harm. Check out Callum's hilarious plight to balance hormones and sense below.